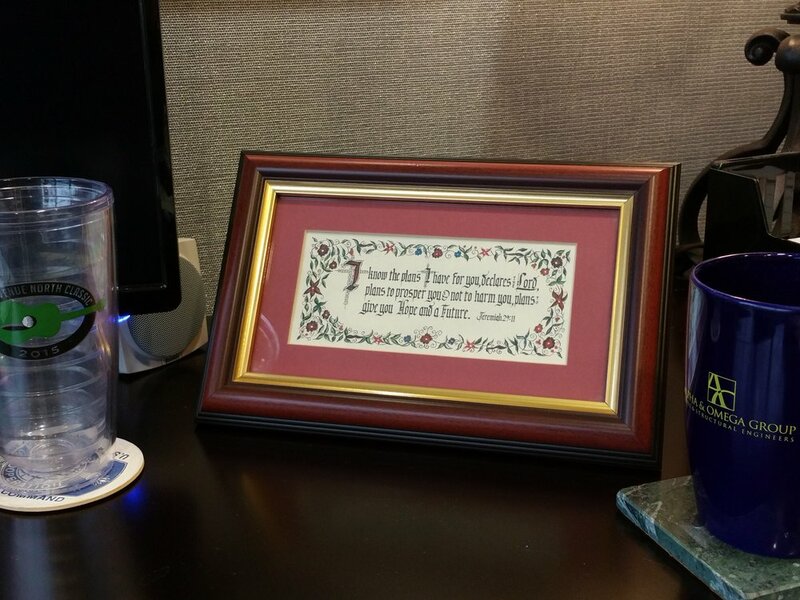 After opening the doors of Alpha & Omega Group in 1998, I found a meaningful Bible verse in a Christian book store, nicely framed so I could place it on my desk. The framed verse was Jeremiah 29:11 – “For I know the plans I have for you,” declares the Lord, “plans to prosper you and not to harm you, plans to give you hope and a future.” I needed a reminder on my desk of God’s promise that He had my best interest in mind as I stepped out in faith to honor Him through this new company. As I reflected on the verse, I also re-read the book of Jeremiah and reminded myself of the significance of what God was saying through the prophet Jeremiah. The nation of Judah had been overtaken by the Babylonian King Nebuchadnezzar and exiled to Babylon. Their situation appeared hopeless as they were being taken to live and die in a foreign, unfamiliar land. God’s message was that no matter how dire their situation appeared, God still loved them and would even make them prosper in a land they knew nothing about, let alone how to do business there. Throughout our 20 years, there have been significant times when I have needed that reminder on my desk. Initially, I needed it when I began to hire employees and had the responsibility of taking care of those employees (with families) by finding work and paying bills. Often, I wondered if I would have enough money to make payroll! Another time the verse helped me was after the terrorist attacks of September 11, 2001. Many businesses struggled to keep their doors open, and some were not able to do so. A few years later came the 2008 stock market crash and Great Recession. I had lived through the recessions of 1973-1975, 1980-1983, 1990-1991, and 2001, but this was of a magnitude I had never seen. The engineering, architecture, and landscape architecture industries saw reductions of work of 50 percent or more and firms shrank to a third of their original size, if they were able to remain in business. It can be a challenge to navigate a Christian company in a world that is fraught with economic, social, and political conflict, as ours is today. Isaiah 29:11 reminds me that even though I am in a foreign land, I can rely on the promises of God as I conduct business every day. It also reminds me to thank God every day for all the blessings He has provided to A&O through the years! Thank you, God, for your unconditional love that accepts me as I am with all my scars created by sin, and for blessing me in ways that I cannot comprehend.